HDFC Life is one of the top life insurers in the private domain. The company is renowned for a diverse range of policies that ensure life protection for policyholders. When it comes to term insurance plans, HDFC Life has a few options that provide life insurance coverage at an affordable price. These plans can be bought online by providing some basic details. The company helps its customers calculate the cost of a life cover through various financial tools available on its official website. Premium calculators help individuals make sound financial decisions based on how much they can afford. 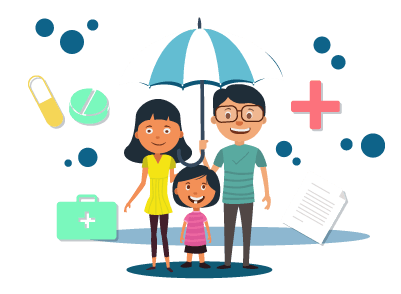 Since the cost of a term insurance plan is influenced by various factors, it is a tedious affair to manually calculate the price of all policies. This is the main reason why insurers provide premium calculators for their potential customers. With these calculators, it is possible to obtain the cost of a policy instantly by providing some basic details. These basic details may vary from one person to another. These calculators are designed in such a way that they provide the price quote based on the variable data provided by an individual. In the home page, locate the section of ‘useful tools and calculators’. When you click on more tools and calculators, you can find the list of calculators such as the human life value calculator, save tax calculator, retirement planner, etc. You may also find the calculators for individual plans available with HDFC Life. For term plans, you may have to use the calculators available with individual plans. In the home page, click on term plans. Click on the button ‘calculate premium’ located at the bottom of these plans. In the resulting page, you may have to provide various details like name, gender, date of birth, mobile number, email ID, tobacco usage, NRI status, location, etc. Once these basic details are entered, the company will calculate the cost of the term plans and provide you with personalised results. Customers can know the price of the product before signing up for a plan. They can contact the insurer directly without the need for an agent and subscribe to a term insurance plan. Through this way, they can choose the right plan that fits within their budget. Since customised quotes are provided instantly, individuals do not have to wait for the company to respond. This saves a lot of time when people research various products simultaneously to choose the best one suitable for them. With these calculators, customers can improve their knowledge about various products available with HDFC Life. They can check the prices of multiple products at the same time and pick the best one that meets their specific requirements. HDFC Life currently has three different variants of its ‘Click 2 Protect’ term insurance plans. These plans differ slightly in terms of the benefits offered to policyholders. For instance, Click 2 Protect Health combines the benefits of life insurance and health insurance under a single cover. The cost of these plans varies significantly from each other. Customers can know the price of these individual products by using the term insurance premium calculator offered by HDFC Life.